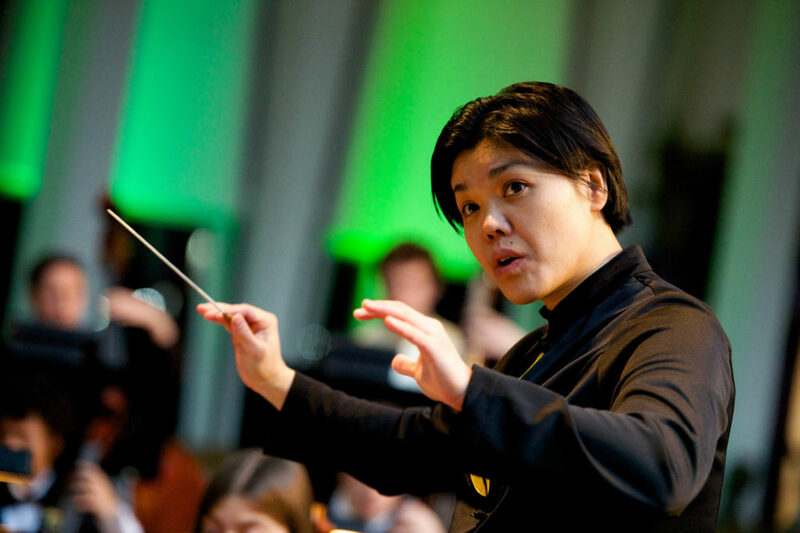 Dr. Ruth Lin, director of the Symphony Orchestra at Gustavus Adolphus College, was recently awarded the Master Teacher: School Orchestra Award from the Minnesota chapter of the American String Teachers Association. Awarded to an outstanding orchestra director in a school program, Lin is the first to be honored with this award on the collegiate level. Lin was nominated by the organization’s past president Jim Bartsch, and current president Michael Watson says she is deserving of the honor. “She is wonderful to work with…inspiring and challenging at the same time,” Watson says. He highlighted her work with high school students as a clinician at various music festivals. Dr. Lin has also conducted high school and middle school students in honor orchestras. Under Lin’s direction, the Gustavus Symphony Orchestra was a finalist for the 2015 American Prize in the college/university division. She has conducted the Gustavus Symphony Orchestra for ten years. Congratulations Ruth!! A most well deserved recognition.